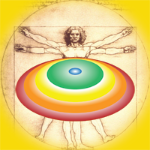 Welcome to the other half of my world - The Empowered and Optimal Wellness Companies. Russ Allen and I founded Empowered in 1997. We began by producing educational videos and animation. 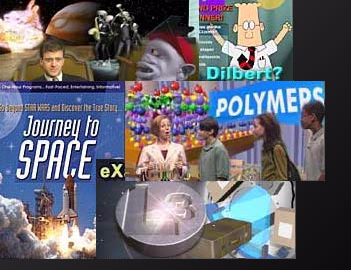 We produced nationally syndicated programming, such as "Flight to Mars", a documentary about the last time Earthlings sent a robot to the Red Planet - The Pathfinder Mission in 1998. In the following years we became recognized as a leader in producing high-end marketing and communication media for top-flight corporations. All in all, we've had many an adventure. We've worked with US Customs, dealing with the controversial issues swirling around Homeland Security. We've traveled to Paris to collaborate with scientists involved in the potential dangers of electro-magnetic radioation from cell-phones and new technologies. We've produced Latin American music specials (we've even briefly owned a Latin music night club). In Antwerp, Belgium we produced innovative marketing for the diamond industry. We promoted important social issues, such as the plight of Albanians in Kosovo and the lack of financial responsibility and credibility in the budgetary affairs of the US government. It is also our privilege to work with a multicultural group of brilliant and talented programmers, videographers, animators, web designers, graphic artists and producers. Today we stand at the beginning of a new phase in our growth... our emergence as a leader in wellness and healthcare developing new models of how healthcare will be envisioned and delivered in the future. Stuart Diamond is the Editor-in-Chief for Empowered Health News, a daily health and medical news service. 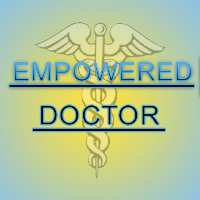 The Empowered Health Health news feed appears on major Internet portals and national newspapers.